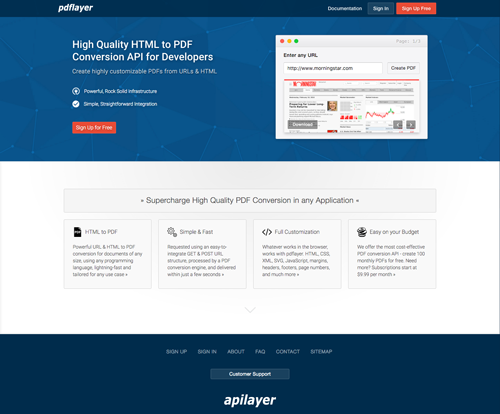 This high class HTML to PDF service is build based on WebKit, which is developed by Apple, KDE, Nokia, Google, RIM, Palm, Samsung and others. WebKit is a layout engine designed to allow web browsers to render web pages. WebKit underlies the Apple Safari and Google Chrome browsers. As of July 2012 it has the most market share of any layout engine at over 40% of the browser market share according to StatCounter. It is also used as the default browser in the iOS, Android, BlackBerry Tablet OS and webOS mobile operating systems.